Developments in vehicle technology reveal that increased demands on vehicle comfort and fuel efficiency in the vehicles require to design more efficient powertrain systems. Vibrations originated in the engine need to be well optimized and controlled at desired limits. For this purpose, modal analyis for vehicle components is the main analysis method to evaluate the vibration behaviours. During vehicle design, important parameters for vehicle vibration such as inertia and stiffness are investigated and modified values to be replaced to get lower vibration values by means of the modal analysis. In this study, the truck powertrain system is modelled with real system values by the 1-D analysis software program and modal analysis is performed to find mode shapes and vibration magnitudes of the powertrain system components. Mode shapes of the clutch damper was investigated by changing damper stiffness values and the other components variables were taken constant to evaluate the stiffness effects on the system by modal analysis. REFERENCES 1. Smith, R., ‘Changing the Effective Mass to Control Resonance Problems.’ Sound and Vibrations, no:242, 14-17, 2001. 2. Acar, H. , Gul, C. ,Avcı, M., ‘Clutch Disc Torsionel Characteristics Optimization to Reduce Idle and Gear Rattle on Passenger Car.’ International Automotive Congress, Belgrade-Serbia, 22-28, 14-15 April, 2015. 3. Sofian, M., Hazry D, Ishak, I., ‘A Study of Vibration Analysis for Gearbox Casing Using Finite Element Analysis.’ Proceedings of International Conference on Applications and Design in Mechanical Engineering ,Malaysia, 10E1-10E7, 2009. 4. Brandt, A. ,Lagö, T. ,Ahlin, K. ,Tuma, J., ‘Main Principles and Limitations of Current Order Tracking Methods.’ Sound and Vibrations, no:281, 19-22, 2005. 5. Keeney, S. , Shih, S., ‘Prediction and Control of Heavy Duty Powertrain Torsional Vibration.’ Rockwell International, 1992-11-01, 922481, 1992. 6. Jadhav, S. 2014. ‘Powertrain NVH Analysis Including Clutch and Gear Dynamics.’ SAE Technical Paper Series. 7. Hwang, S. , Stout, J. , Ling, C., ‘Modeling and Analysis of Powertrain Torsional Response.’ SAE Technical Paper Series, 1998-02-23, 980276, 1998. 8. Miyasato, H. , Siminatto, G. , Junior, M., ‘Study of the Gear Rattle Phenomena in Automotive Powertrain Systems.’ 21st International Congress of Mechanical Engineering, Natal-Brazil, 24-28 October, 2011. 9. Mazzei, A. , Alzahabi, B. , Natarajan, L.K. 2002. ‘Analysis of Drivetrain Bending Response For a Heavy Truck Driveline.’ SAE Technical Paper Series. 10. Miyasato, H. , Siminatto, G. , Junior, M., ‘Linear Powertrain Models For NVH Phenomena Evaluation.’ International Symposium on Dynamic Problems of Mechanics’, Buzios-Brazil, 143-152, 17-22 February, 2013. 11. Skup, Z., ‘Damping of Vibrations in a Power Transmission System Containing a Friction Clutch.’ Journal of Theoretical and Applied Mechanics, 43(4), 875-892, 2005. 12. Gambino, C., ’Vibration Damping Via Acoustic Treatment Attached to Vehicle Body Panels.’ University of Windsor, Master thesis, Engineering department, Windsor-Canada, 2015. 13. 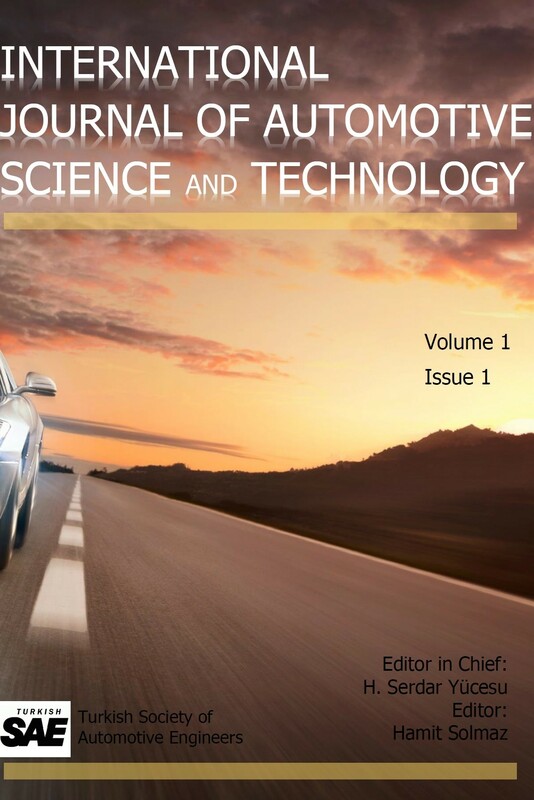 M. Y. Wang, W. Zhao, and R. Manoj, “Numerical modelling and analysis of automotive transmission rattle,” Journal of Vibration and Control, Cilt no:8, 921–943, 2002. 14. P. Fietkau and B. Bertsche, “Influence of tribological and geometrical parameters on lubrication conditions and noise of gear transmissions,” Mechanism and Machine Theory, Cilt no: 69, 303–320, 2013. 15. C. Canudas-de-Wit, P. Tsiotras, E. Velenis, M. Basset, and G. Gissinger, “Dynamic friction models for road/tire longitudinal interaction,” Vehicle System Dynamics, no: 39, 189– 226, 2003. 16. D. Centea, H. Rahnejat, and M. T. Menday, “Non-linear multibodydynamic analysis for the study of clutch torsional vibrations (judder),” Applied Mathematical Modelling, no:25, 177–192, 2001. 17. G. Zhao, Z. Jiang, and L.Chen, “Linear analysis for performance of dual mass flywheel with centrifugal pendulum vibration absorbers system,” Telkomnika—Indonesian Journal of Electrical Engineering, no:11, 2371–2376, 2013.